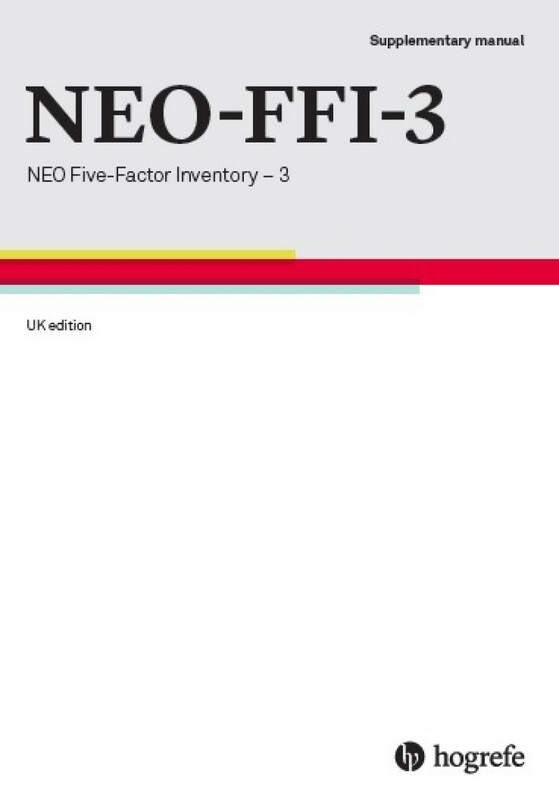 The NEO-FFI-3 UK is a 60-item version of the NEO-PI-3 UK, providing a brief, comprehensive measure of the five domains of personality with UK norms. English, Dutch, Swedish and Norwegian. Based on our leading personality assessment, NEO-PI-3, NEO-FFI-3 provides a briefer snapshot of personality, cutting the self-report assessment down to a targeted 12 questions in each of the five domains. As well as using the NEO-PI-3 Manual for interpretation, Hogrefe recommends the use of the gratis NEO-FFI-3 Manual Supplement (Product code: 5504932) which can be requested by phone (01865 797920) or email. Underpinned by a vast amount of research data, the NEO is substantive and robust – yet still concise in its measurement and easy to use in practice. Furthermore, our online testing platform makes delivering the NEO to individuals or groups easy, flexible and secure. Expanding and improving upon the previous NEO PI-R, NEO-PI-3 features new norms, updated language and added features. Practitioners already qualified in use of NEO PI-R can expect to gain all the insight they need via the new manual.